TORONTO — Netflix says it shouldn't be forced to pay into funds that are designed to support the creation of Canadian content, arguing that the country is better served by market competition than by regulating foreign online services. The California-based company makes the argument in a submission to a government-appointed expert panel that will make recommendations for changing Canada's laws governing broadcasting and telecommunications. 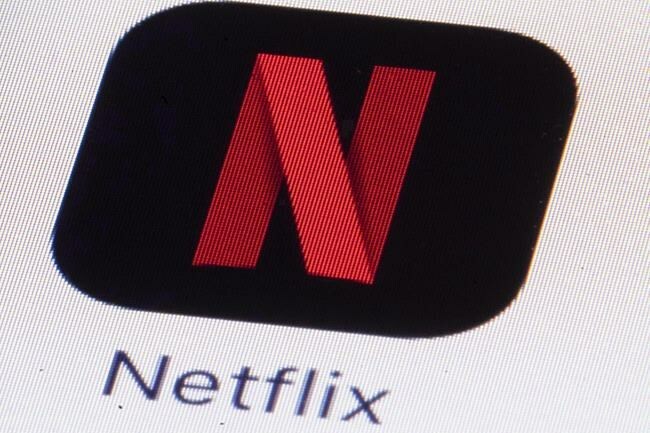 "Numerous online distributors offer an abundance of content, including Canadian content, on demand, anywhere and any time to anyone with access to the open internet," the Netflix submission says. "We do not subscribe to the theory that a “regulated investment” is more valuable than a consumer and market-driven one." The 30-page submission, made public Friday, says Netflix is on track to "significantly exceed" a $500-million commitment to fund original content made in Canada under a five-year agreement announced in 2017. Although the panel hasn't made the full collection of submissions public, some groups have released theirs — often in support of positions that have been made in previous public debates. Netflix argues that foreign online services such as itself would face unfair discrimination if it's forced by law to pay into the Canadian Media Fund, which it says currently denies it the same rights as Canadian-owned broadcasters and distribution companies. "For certified CanCon, the Canadian broadcaster obtains “first-window” rights in Canada while Netflix, or another online service, gets international rights outside Canada and possibly second-window rights in Canada," it says. If foreign online services are required to contribute to the CMF without getting "first window" rights in Canada, Neflix says, it would be discriminatory. "It would also effectively force foreign online services to subsidize Canadian broadcasters, and reinforce the market power of vertically-integrated incumbents." Alternatively, it says, if foreign services had equal access to the CMF "they would be drawn into competing with Canadian broadcasters or VOD services for the Canadian first window rights for publicly funded original Canadian content." "Absolutely not," he said. "We do not say that, nor do we advocate for it." Netflix noted that it faces increased competition from other foreign and Canadian video-on-demand services, including Bell Media's Crave subscription service, and the newer ad-supported CTV Movies and CTV Throwback. Netflix said it's not trying to get special treatment under Canadian tax laws, and noted it will begin collecting and remitting a Quebec sales tax in January 2019. "We will comply with tax laws if and when they legally are extended to services like Netflix," it says.